Almost all the findings of the Pew Research Center’s comprehensive survey of American Jewry were bad news, but they were not all equally bad. Among those for whom the Pew survey’s outlook was particularly grim is the Conservative movement. According to the survey, only 18% of American Jews identify as Conservative, down from 38% in 1990. Moreover, the percentage of identified Conservative Jews declines steeply by age, with only 11% of those 18-29 identifying themselves as Conservative. In the weeks following the release of the Pew survey, much was said and written about the catastrophic decline of Conservative Judaism. (By fortuitous timing, the Pew results were released on the eve of the biennial convention of the United Synagogue of Conservative Judaism (USCJ), the movement’s congregational umbrella body, and the data obtained from that survey was presumably a subject of discussion at that convention.) 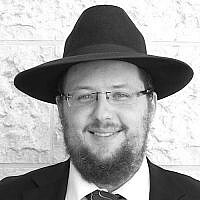 Few if any of the opinion-writers, however, received as much attention Rabbi Daniel Gordis. His initial essay on the subject, provocatively entitled “Requiem for a Movement,” appeared first on line, and then in the Winter 2014 issue of the Jewish Review of Books / (http://jewishreviewofbooks.com/articles/566/requiem-for-a-movement ). It drew a flood of comments, both on the JRB website and in other media, both print and on-line. Presumably sensing a marketing opportunity, JRB, which is a relatively new publication, invited eight prominent figures (whom Gordis collectively refers to as his “interlocutors”) to share their reactions to Gordis’s original essay and then gave him an opportunity to respond, which he did in a second essay, that one entitled “Cognitive Dissonance” Both those eight reactions (http://jewishreviewofbooks.com/articles/644/a-movement-strikes-back /) and Gordis’s response to them (http://jewishreviewofbooks.com/articles/673/cognitive-dissonance/) have thus far only appeared on line on the JRB website, though I suspect that they will also be included in the next print edition. Why did Gordis’s essay about the Pew findings on the Conservative movement receive so much attention? One reason is that Gordis, is a superb craftsman of language with an almost unparalleled ability to convey thoughts and feelings simultaneously. Some of you may remember that Gordis, who made aliyah in 1998, first came to broad public attention with an extraordinary series of e-mail dispatches about life in Israel. A compilation collection of those dispatches was published in a 2002 book entitled If a Place Can Make You Cry. But Gordis’s talent as a writer – though clearly in evidence in both of his JRB pieces — was not the primary reason that his initial essay received so much attention. He also brought to the discussion a background that enhanced the credibility of his critique. Not only is he himself an ordained Conservative rabbi, but he is also the grandson of Rabbi Robert Gordis, one of the most prominent Conservative rabbis of the movement’s heyday, and a nephew of the late Dr. Gershon Cohen, who served as Chancellor of the Jewish Theological Seminary (JTS), the movement’s intellectual flagship, from 1972 until 1986. When someone of Gordis’s lineage and talent predicts the demise of the movement in which his family has played so prominent a role, his critique is likely to draw a fair amount of respectful attention. It’s been more than a decade and a half since I was last affiliated with a Conservative synagogue, but reading Gordis’s essay brought back memories of decades past. I have neither Gordis’s talent nor his multi-generational roots in the Conservative movement, but that movement did play a significant role in shaping me — and probably thousands of others — as well. I share Gordis’s personal sadness at the prospect of that movement’s disappearance , and I recognize, as he does, that its disappearance would be a serious loss for American Jewry. My background was somewhat different from Gordis’s and probably more typical. (We can’t all have rabbinic grandfathers, after all.) I grew up in a home that was traditionally oriented but not halakhically observant. It was during my teenage years that I began the journey toward shmirat mitzvot. 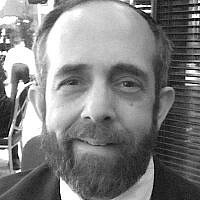 Although I have continued to grow Jewishly since reaching adulthood – and I hope that I will continue to do so as long as God gives me life – the major changes in observance that established the religious framework of my Jewish life occurred during my adolescence and early adulthood — a period during which all my formal religious ties were to Conservative institutions. I would not suggest that the internal impulses that launched my journey toward traditional observance were entirely a result of the Conservative movement. Clearly, there were other, more personal forces at work. But the Conservative movement’s institutions gave me the structure into which to channel those religious impulses. I learned the basics of Judaism in a Conservative afternoon school, and I became familiar with the Shabbat morning service in its Junior Congregation. I first experienced a traditional Shabbat through USY (the Conservative youth movement), and I began to daven three times a day in USY-on-Wheels, a summer program that combined a cross-country bus tour with an experience in intensive Jewish living. I even bought my first tallit katan, during my freshman year in college, from the ATID bookmobile, a travelling Judaica store that USCJ (then still called the United Synagogue of America; the current name was not adopted until 1990) used to send to college campuses around the country. Lest I be accused of allowing nostalgia to swallow reality, I should acknowledge that my background in the Conservative movement gave me an early exposure to its flaws as well as its strengths. Even as a teenager, I realized that the movement’s theoretical commitment to traditional observance, was honored mostly in the breach. During my formative years, there was not a single lay family in my local synagogue who was traditionally observant. Some of my contemporaries from other communities who embarked on religious journeys similar to mine had the advantage of a local mentor – rabbi, teacher or youth leader – who could serve as a role model and guide. I never had such a relationship with anyone professionally connected to my local synagogue. There were staff members — in USY, and in another, almost forgotten program, the Leaders Training Fellowship (LTF) – whom I saw as role models, but my contact with them was too sporadic for them to play a meaningful role in my religious development. religious observance seriously — but for the most part the laity was focused on integration into America, and most laypeople were not interested in enhancing their observance in ways that might interfere with that goal. In his initial JRB essay, Gordis denied that “the incessantly discussed vast gulf in practice between the rabbis and their congregants” was primarily responsible for the movement’s decline, inadvertently leaving the impression that he believed the laity’s widespread non-observance was not a significant problem. 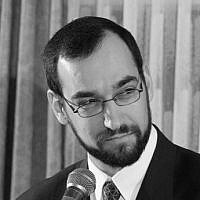 In his more recent responsive essay, he seeks to clarify that point, to make it clear his view that it was not the gulf in practice per se, but rather the way the rabbis responded to it: “Conservative Judaism was never sufficiently aspirational. Instead of insisting that halakha might give congregants aspirational ideals, it recalibrated Jewish practice for maximum comfort. It failed to recognize that the space between the ‘is’ and the ‘ought’ is where we grow deeper.” The results of the Pew survey, Gordis writes, “show what happens when Judaism doesn’t push us.” Orthodoxy was more successful, he posits, because it was willing to live with what he calls “cognitive dissonance,” the distance between what congregants knew Judaism demanded of them and what they felt able to do at that point in time. Rabbi Judith Hauptman, as she has in previous writings, blames the movement’s decline on its alleged timidity in securing the triumph of egalitarianism. (Apparently, Hauptman has one answer for everything, regardless of the question.) Rabbi Gordon Tucker, a well-known, left-wing pulpit rabbi and former dean of the JTS rabbinical school, begins with what he calls “a very general observation: It is peculiar for someone who is aware of, and speaking for, Jewish tradition to argue that smaller numbers mean lessened potency and fitness for survival.” He goes on to suggest that the “27 percent of American Jews (described in Pew terms as “just Jewish”) [who]are neither non-practicing, nor atheist, nor willing to espouse a denominational loyalty” includes “ many young Jews who are pursuing the search for their own Jewish authenticity with the very tools that Conservative Judaism fashioned and that many of them no doubt learned in Conservative institutions.” If Tucker has a source for this supposition, he somehow forgets to mention it. So is Gordis right? Do the results of the Pew survey herald Conservative Judaism’s imminent demise? Or is it possible that, with apologies to Mark Twain, reports of its death have been greatly exaggerated? These are difficult questions to answer definitively. That Conservative Judaism is declining in numbers is undeniable; the movement’s leaders didn’t need, the Pew survey to tell them that. But decline is one thing, and disappearance is something else entirely. American Jewry has a demonstrated talent for enabling moribund organizations to continue on communal life support long after their useful life is over. There are plenty of Jewish organizations today whose rationale for continued existence is far more tenuous than that of Conservative Judaism’s central institutions, but few of which are likely.to disappear any time soon. Of course, declining numbers will lead to reduced revenues, which in turn will lead to downsizing, a process which has already begun and will likely continue for years to come. But if that process is handled competently, then it need not be the precursor of the movement’s complete collapse. Would such a collapse be a bad thing? On that question Gotdis appears to equivocate. Some of his interlocutors argue that the ideas of Conservative Judaism can remain influential even if its institutions do not. To that proposition, Gordis offers a devastating rejoinder: “Are our ideas important in some Platonic sense, simply by virtue of their existence, or do they matter because we want them to shape the future of the Jewish people?” Yet because he takes it for granted that institutional collapse is imminent, his prescription for the preservation of those ideas is the weakest part of his essays. In one respect, Gordis’s account of what went wrong with Conservative Judaism is similar to that of his interlocutors: both are written from the perspective of the rabbi. The laity is understood to be the captive of larger societal trends while the rabbis are depicted as independent actors who could have acted one way but instead chose to act another way. The same mindset, it seems to me, underlies the discussion of the ideas underpinning Conservative Judaism. Those ideas only matter to someone who has already attained some level of Jewish literacy and is prepared to at least contemplate enhanced Jewish practice. Most American Jews, however, have not reached that point. The strength of Conservative Judaism in its heyday was the ability of its youth programming in particular – its schools, camps and youth groups – to inspire many of its young people to begin their own personal journeys toward a life of mitzvot. Its weakness was its inability to figure out what to do with them once their journeys had begun – an inability that was fueled in part by the movement’s commitment to intellectually satisfying ideas without regard to their potential effect on religious commitment. For me, as for so many others, the institutions of Conservative Judaism played a critical role in the early stages of my religious journey. At some point I learned how to integrate some of its ideas into my religious perspective without losing the core commitment to Torah and mitzvot that must be the foundations of any such Jewish journey. As a result, when circumstances forced me out of the familiar environs of the movement in which I had grown up, I was able to continue my religious journey uninterrupted. If Gordis’s prophecy of doom proves to be correct – if the institutions of the Conservative movement are unable to stave off complete collapse – I can still be confident that my Jewish journey will continue. What worries me is the young Jews who are now where I once was, and whose journeys may never begin.